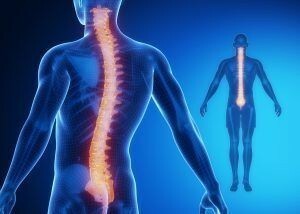 At Frisco Spine, we offer a comprehensive range of non-surgical and surgical treatment options for all types of spinal conditions. This includes surgical treatment of the cervical spine, better known to most people as the neck. In the vast majority of cases, the pain associated with cervical spine problems will improve with non-surgical treatments, which is why our spine surgeons always employ a conservative approach to treatment. However, if non-surgical methods do not produce the desired results, then we may suggest cervical spine surgery at our Frisco, TX spine center. There are several types of cervical spine surgery that we can perform to relieve chronic neck pain and restore function at Frisco Spine, depending on your symptoms and the results of our diagnostic tests. To schedule your initial consultation with one of our experienced, highly esteemed spine surgeons, please contact Frisco Spine today. Anterior Cervical Discectomy: This procedure involves the surgical removal of the disc that is exerting pressure on a nerve or on the spinal cord. If only a single disc needs to be removed, the procedure is minimally invasive, requiring a relatively small incision in the front of the neck. Through this incision, the disc in question and any bone spurs are removed. The resulting space between vertebrae may be left open or fused together with a small piece of bone or artificial device. Anterior Cervical Corpectomy and Fusion: This procedure is performed in conjunction with anterior cervical discectomy. One of our surgeons relieves spinal cord compression caused by bone spurs by removing one or more cervical vertebral bodies and their adjoining discs. The space between vertebrae is then fused together using a small piece of bone or artificial device. This procedure requires a longer incision and lengthier recovery time than anterior cervical discectomy by itself as more bone is removed. Posterior Cervical Microdiscectomy: Unlike anterior cervical discectomy, this procedure is performed through an incision in the back of the neck, through which a disc is removed using microscopic techniques. Posterior Cervical Laminectomy: This procedure is performed through an incision in the back of the neck, through which the back part of the vertebrae, called the lamina, is removed. This relieves pressure on the spinal cord resulting from a narrowing of the spinal canal, clinically known as spinal stenosis. If you are experiencing chronic neck pain, especially if it is accompanied by any of the symptoms listed above, please contact Frisco Spine today.